guitar Archives - Owl Mountain Music, Inc. Learn to Play Guitar for the best possible rate! I’ve been teaching guitar in my private studio for many years. In 2006 I was approached by JamPlay to become their first guitar instructor for a new way of teaching guitar: on the internet! I know, this is crazy, but it actually works! At first we just filmed lessons and people watched them at their convenience, with the ability to pause and replay, and print out supplemental material, to progress at their own rate. Then, Jeff and Kevin and Chris at JamPlay decided to try an interactive chatroom, which was hosted by the instructors, to give student/subscribers a chance to ask their questions of the teachers in real-time. The teacher was able to answer and demonstrate. However, the students often had a difficult time describing their issue. So JamPlay decided to upgrade the functionality of the chat and made it possible for students to use their own webcam and microphone to demonstrate to the teacher (and the rest of the chatroom) what they were wrestling with, or demonstrate how they had mastered that skill or song. The result is a powerful, interactive and supportive community of instructors with student-learners/teachers which is active most of the hours of every week. Since the chat has begun I’ve been a part of the roster of live instructors. At one time, I hosted 5 (3)-hour sessions every morning, which helped me to leave my fruitless attempts to teach music full-time in the public school system, in favor of working daily with people who were finally being successful at developing their musical skills in playing guitar. Now here is the reason I’m writing today. The current annual price for an all-access subscription is $139.95 (38¢ a day, or $2.69 a week). After December 28, 2014, the price is going up to $179.95, which is still reasonable, considering that there are more than 75 teachers with more than 4,500 lessons in High Definition video, available when you need it. 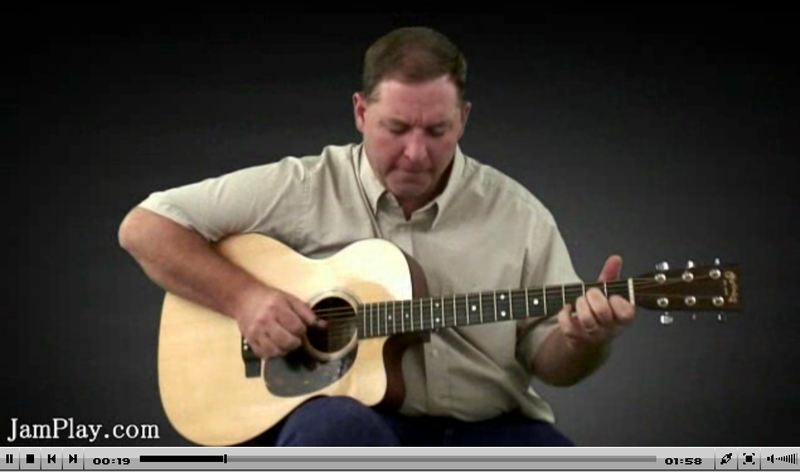 Here’s a link to one of my free beginner lessons, and one of my fingerstyle lessons, one of my bluegrass lessons, one of my celtic lessons, and one of my gospel lessons. But here is the kicker: JamPlay is offering a sale, starting TODAY with a full-year for less than $100! Yep, for only $99.95, you can have access to everything I teach, but even better, everything that everybody else teaches as well! I don’t want you to miss this opportunity before the price goes up. If this isn’t your kettle of fish, but you still want to learn to play, or just have some support while you teach yourself (which is how I learned, by the way), contact me about setting up live, one-to-one lessons via SKYPE. Or visit this link on my website for more details.